dancer, choreographer, teacher, writer, artisan... etc. Born in 1960, Frey Faust began performing at the age of 8 with his family as a traveling troubadour. He is a second generation contact improviser and an alumnus of the 80´s New York dance scene. Some of his more important early influences came from: Shekhinah Mountainwater, Nita Little, Pavel Rouba, Rene Bazinet, and Janet Panetta. He has worked with and for a number of artists (order of appearance): Ohad Naharin, Donald Byrd, David Parsons, Gina Buntz, Howard Katz, Merce Cunningham, Meredith Monk, Randy Warshaw, Bob Een, Stephen Petronio, Danny Ezralow... to name a few. He founded or co-founded three dance companies, and has created or co-created over 40 choreographic solo and group works. Following an independent study of anatomy, biomechanics, and physics, he has been able to build a pedagogical approach that has made him a sought after teacher, personal coach and technical counselor. 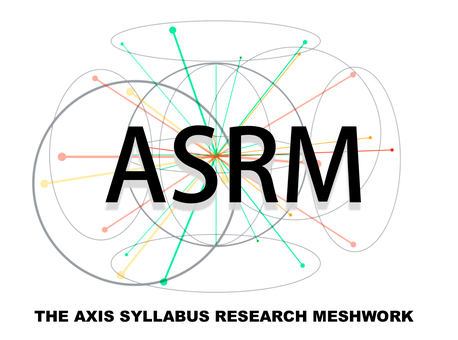 After fifteen years of research, he consolidated his findings in a book, 'The Axis Syllabus - human movement lexicon', which he continues to edit with the help of the Axis Syllabus International Research Network. Founded in 2009, the ASIRN is a rapidly expanding group of experts from many related fields in the human movement and education sciences. Recently, his work on the AS has been focused on the provision of an online "university" for the study of the human body: The ASIRN Forum, as well as the construction of a symbol set with the potential to streamline movement documentation, creation and analysis, The Human Movement Alphabet. He also makes shoes, speaks 4 languages, and continues to create and perform dances.